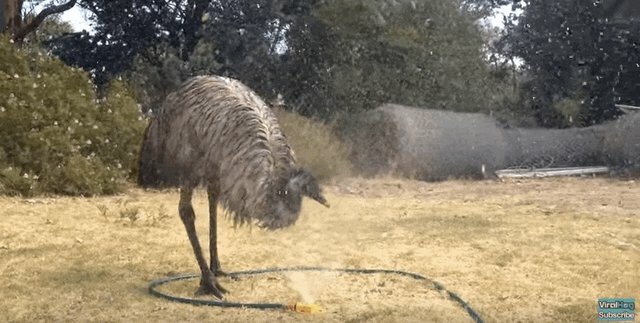 An emu from Australia named Blacky was just hanging out and running around - a normal day, in other words - when the unexpected happened: He discovered a sprinkler. And that sprinkler made all of Blacky's dreams come true. Blacky seems to be VERY bewildered by what exactly a sprinkler is, but that doesn't really matter - he loves it no matter what. 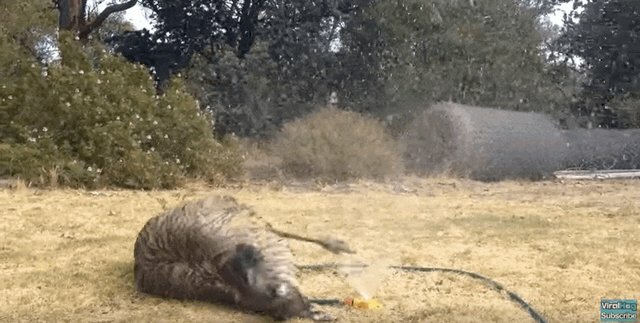 He was SO amazed, in fact, that as soon as he felt the sprinkler spraying him ... he fell down out of shock. Watching Blacky splash around and roll onto his back like a dog is simply perfect, and he absolutely could not have had a better time. 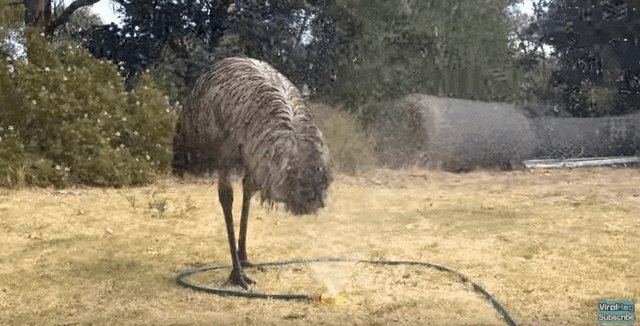 We've all seen dogs play in sprinklers, and even a family of moose, but this is most definitely the first time I've ever seen an emu enjoying a little backyard water fun.